If a batter hits a ball that bounced up from in the dirt into the stands is it a homerun? Edward asked: A batter swings at a pitch in the dirt. The ball bounces up from the dirt and he golfs it into the stands. Is the ball in play, and is it a home run? Rick answered: Edward, thank you for your question. 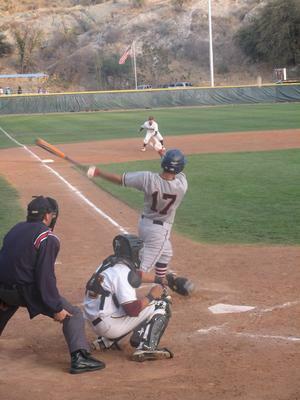 The pitched ball is secured by the catcher. Or the batter hits the ball (other than a foul tip). As long as the ball goes out of the park in fair territory, it is a home run. I have never seen it happen, generally hard enough to hit pitches in the strike zone, let alone balls that are bouncing before they get there. Comments for If a batter hits a ball that bounced up from in the dirt into the stands is it a homerun? I know Vladimir Guerrero got a hit on a ball that bounced in front of the plate. Also can't remember if it was a homer or not but definitely in play. I know Garry Templeton, while playing for the Padres, once hit a ball that bounce before the plate. I can't remember if he hit it for a homerun but I think it was.